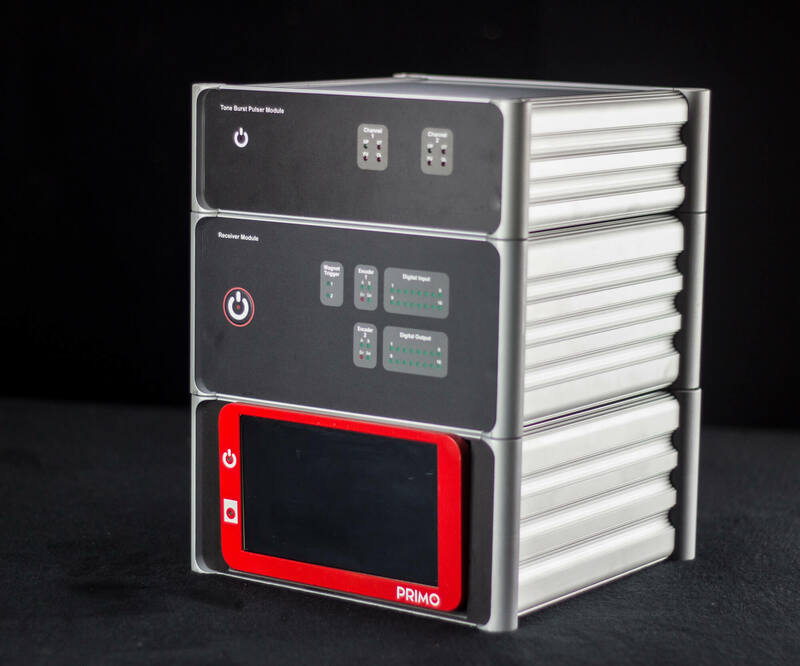 PRIMO is a compact tabletop instrument designed for performance, versatility, and expandability with separate stackable modules for conventional ultrasound, eddy current, and high-power Electro Magnetic Acoustic Transducer (EMAT) applications. The software is built around Innerspec Technologies Operating Platform (ITOP) with NDT-Web™ user interface. 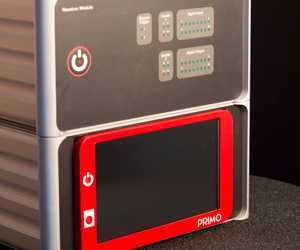 Embedded processor with Innerspec Technologies Operating Platform (ITOP) . High speed data acquisition, receiver, IO and encoder module with power supply for complete stack. 24 channel UT and 4 channel EC. NDT-Web™ user-interface broadcast via wireless and/or Ethernet connection to any external device -PC, Tablet- running any operating system (Windows, MAC, Linux). Ready-made EMAT, UT, and EC software applications from Innerspec. Amplitude/TOF (UT) and Impedance Plane (EC). A, B, C, and S scans (UT) and Curve Fitting (EC).